I spend a lot of online time in communities of autistic people and, this being the holiday season, lately there have been a few people in crisis posting to the forums. As an Aspergian I always hesitate to respond to someone depressed because…well, we’re known for being socially inappropriate, right? Every time we open our mouth, a friendship is on the line and that’s tough enough. But when it is someone’s mental state or their life on the line, the stakes are a bit higher and I become paralyzed with fear that I’ll say the wrong thing and make the situation worse. I will say this, though. I’ve been to the abyss and looked over. Stepping away from the brink was a deliberate choice. 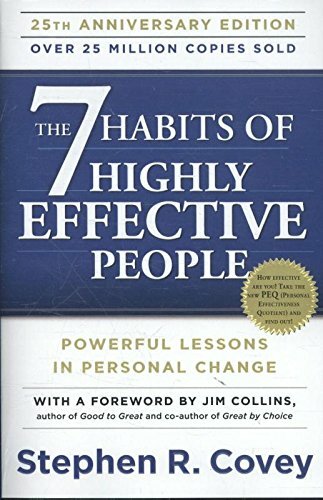 One of the things that helped me most was Stephen Covey’s 7 Habits of Highly Effective People book. In it there is a demonstration where he shows how it is possible for different people to see the exact same thing, have drastically different perceptions of what it is they saw, and still both be right. Applied in a greater context of life, put two people in the same situation and one sees it as overwhelming while the other sees it as a challenge and both can be right. When people do not understand this, a communication gap can develop between people wanting to receive help and those wishing to give it. The would-be helper says “things aren’t as bad as they seem!” and the troubled person assumes they do not fully understand the situation or they wouldn’t say that. The would-be helper often wonders why the troubled person sees things as so much worse than they “really” are and decides the troubled person is simply seeking attention. Sadly, this is often exactly how family members interact and this can lead to a downward spiral, estrangement, and in the worst cases tragedy. In the example Covey describes in the 7 Habits book, people are primed with two line drawings. One is of a young, beautiful, fashionable woman, the other an old hag dressed in rags. Then all are shown an ambiguous line drawing with elements of both pictures. The audience is then surprised to learn that half the people see the young woman and the other half see the old hag and cannot understand how the other half sees what they do. They are able to reconcile only when they are shown both priming pictures at the same time. The troubled person needs to understand that it is possible for someone else in their situation to completely understand their explanation and yet not see it with the same severity or urgency, and that this is a valid point. The trick isn’t to get the other person to see it with the same urgency and severity as you, but rather to come to understand how they can see the same situation as not being nearly as bad as you perceive it to be. The would-be helper needs to understand that the severity and urgency perceived by the troubled person is legitimate even though the situation doesn’t seem to warrant that strong a response. The goal isn’t to show the troubled person why they are wrong but rather that there is more than one “right” perception. I climbed out of my depression by recognizing that much of how I saw my world was due to priming and that I could deliberately choose to perceive it differently. I followed the 7 Habits plan. I read about many people who had come back from even worse circumstances than mine and I tried to emulate their points of view and their decision making. I didn’t have any help (other than books) or support in this journey, but then my depression was not the kind caused by neurochemical imbalances. If you are struggling, then hopefully you have some support of family or friends. And you always have the online communities. we in the Autistic and Asperger’s communities can be supportive – so long as you remember we can also be unintentionally offensive and give us a bit of leeway. I do hope that you are able to find a path out of the depression and that there’s an insight in this post that might help. Note: The events I’m referring to above, and the turning point they led to, are described in My Journey to the Brink and Back. Warning – the events described led me to thoughts of a killing spree and attempted suicide. It isn’t an easy read but it has a hopeful ending. This entry was posted in Advocacy, Challenges, Life and tagged advocacy, Autistic Trigger-Warning, compassion, crisis, depression, life. Bookmark the permalink.